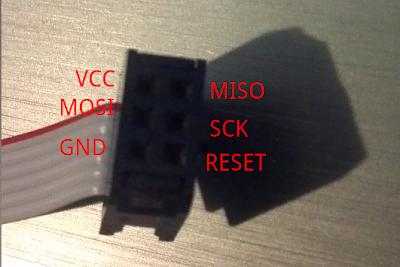 In this post I will walk you through the steps required to program an AVR chip using the AVRISP mkII. 5V Power supply. You can of course use batteries if you prefer. 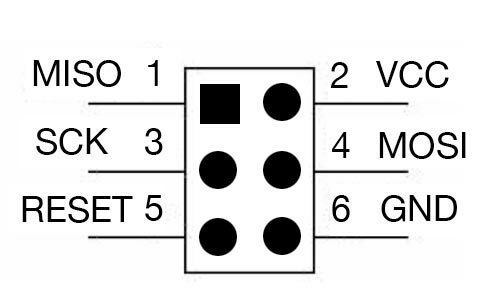 Simply find the pins in your programmer, match them to the pins in your chip and connect them. 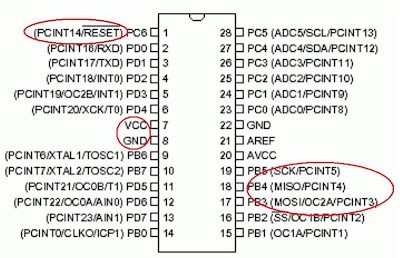 Also connect the resistor from pin 7 to power. Now because the programmer doesn’t have one squared hole, or at least mine doesn’t, it has many, let me show how how that looks in real life, and yes it is like a mirror image of the image above (weird right?). ..let’s move on to the software. 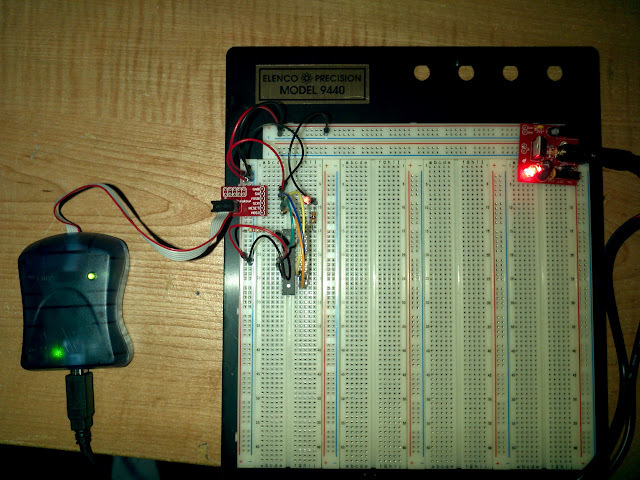 Check out the picture at the very top of this page to see how much neater your circuit will be with the programming adapter. 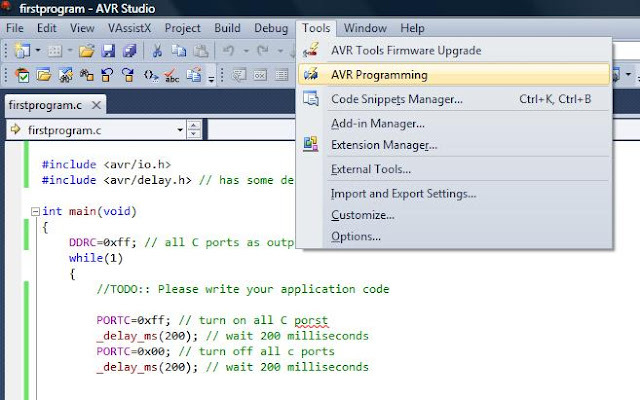 Let me go ahead and walk you through the steps of using AVR Studio 5. 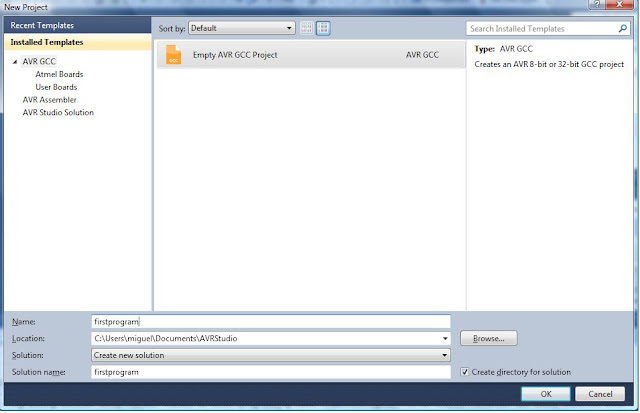 Once you have opened AVR Studio click on File ->New -> Project. 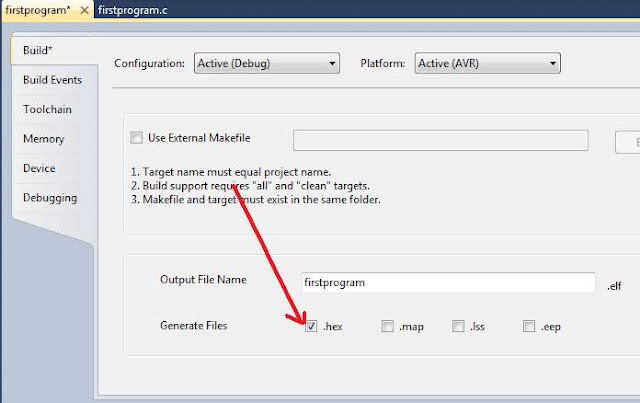 Name your project, I named mine firstprogram. Now click the OK button. Next you will be greeted with an almost blank C file. So what software are we going to write? 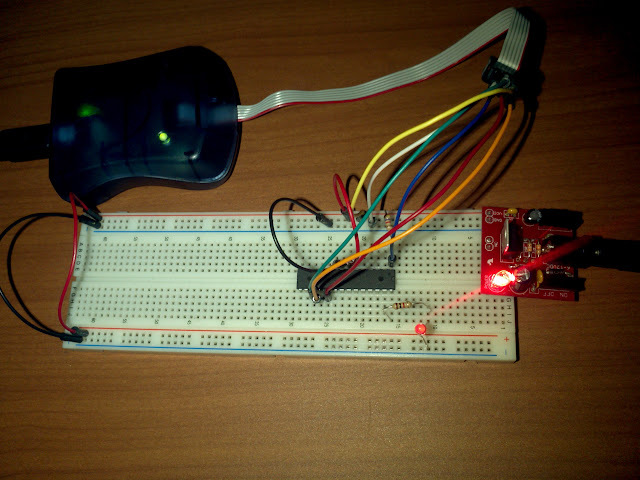 how about we make an led blinker. 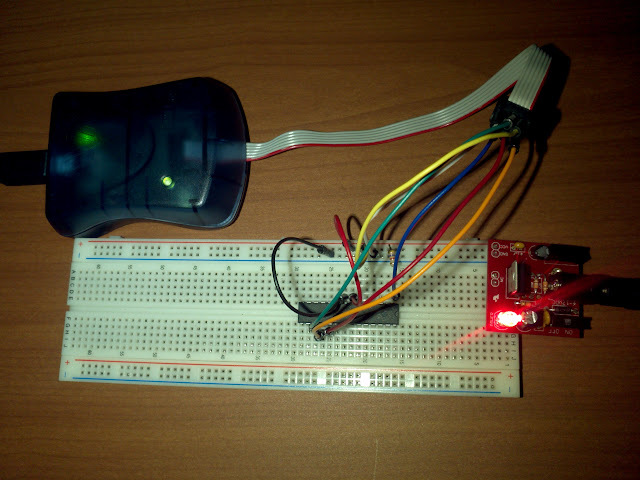 Connect an LED to port C5 of your microcontroller through the 1k resistor and then to ground. Now back to AVR Studio. 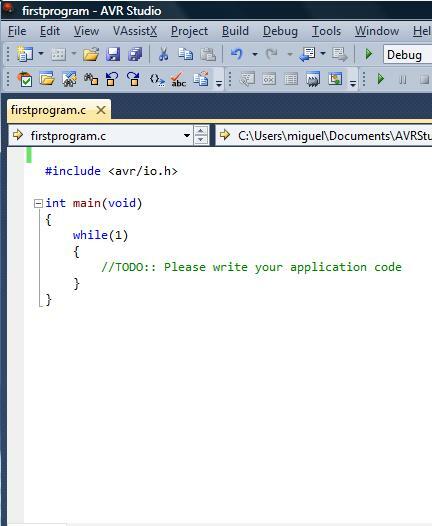 Replace the text in the file with the following. 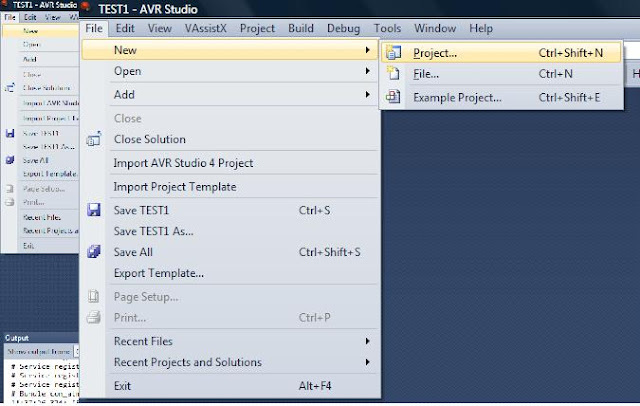 The code that gets uploaded to the microcontroller is actually a HEX file, but we have to tell AVR Studio to make this file. 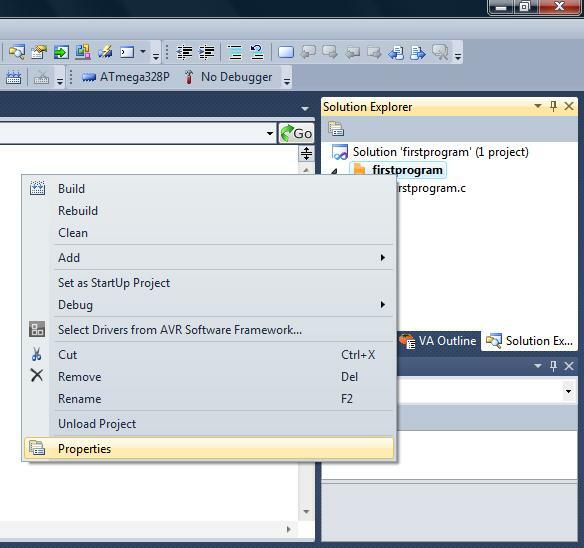 To do that right click on your project’s name on the right in the solution explorer window and click on properties. hex file checkbox, make sure it's checked. 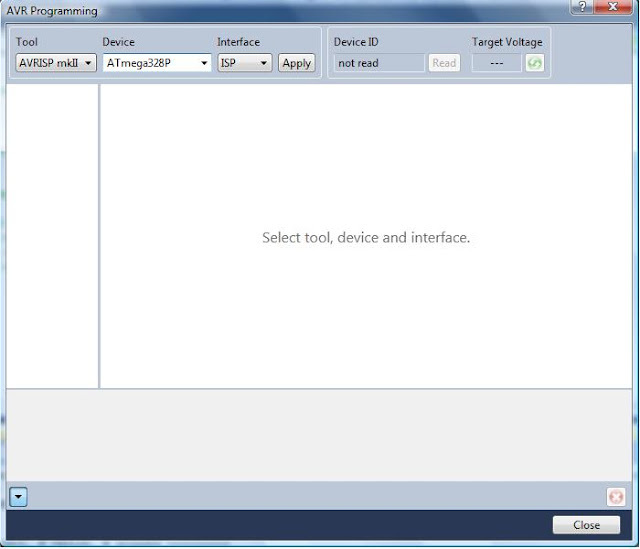 this will compile the program and generate the hex file we need. 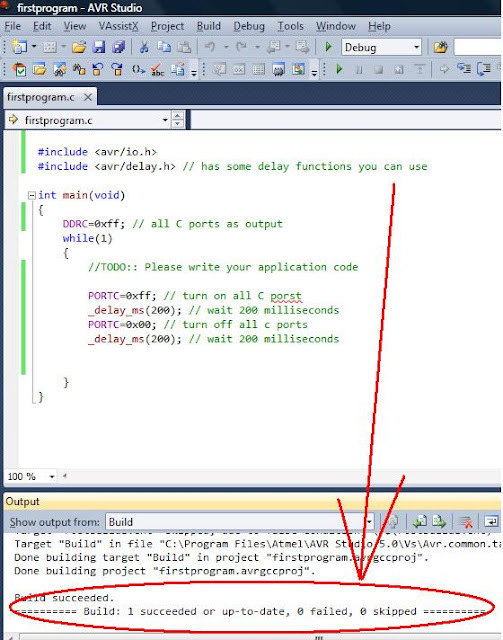 You should not get any errors, as shown below. 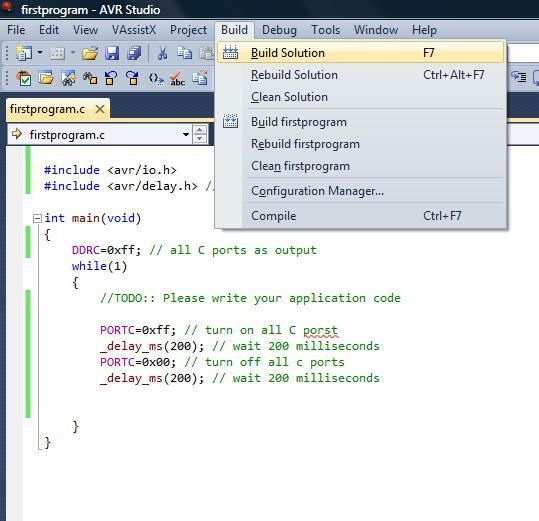 At last, we are done with all the software developing stuff, uploading is just as easy. You’ll get the programming window. Make sure that your device is selected. Now in the following order, click on the Apply button, then the voltage button (recycling/refresh looking icon) will become active now click it, you should get some value close to 5 volts. Then click on the Read button. If you didn’t get any error window you are good to go. Clicking the Read and Voltage buttons is not necessary actually, but the Apply button is. 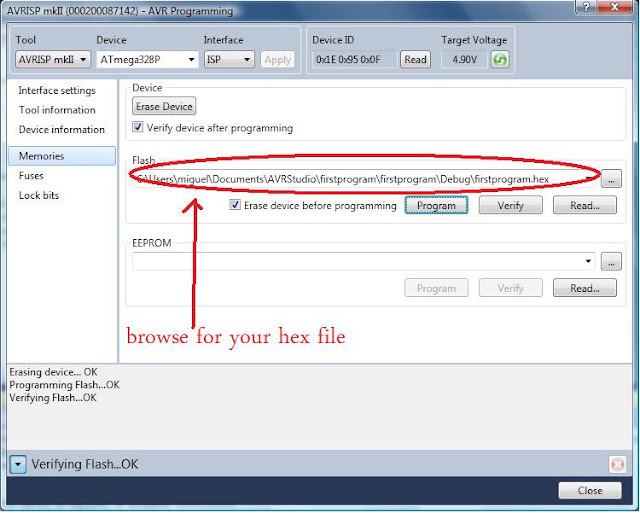 lastly click on Memories and select your hex file then click Program, the programmer will start blinking and stop when your program is done uploading.